In New York City there are more than a few bars and each of them have the bartenders that work them. However not every bartender is a good one and the bad ones can truly throw off the relaxing vibes of being in a bar with friends. So what makes a good bartender? There isn’t one answer to that question but with some of my own research and asking around, I have managed to make a list of 3 qualities of a great bartender. Bartending by its very nature is a highly social job so a good bartender must be able to keep a positive and friendly personality going as he deals with the patrons of the bar. If a bartender is snappy or just flat out rude it in turn alters the attitudes of the clients and makes them less likely to return to the bar in the future if they feel like they were disrespected. Even with long shifts bartenders must be able to keep the cheery attitude for each client they serve, not just the ones at the beginning of the shift. A clear sign that a bartender isn’t doing a good job is if there is a huge line of people waiting for their drinks. Now keep in mind, there is a difference between a popular bar where there are lots of people and a bar where people are clearly getting frustrated with how long it is taking to order/be given their drinks. 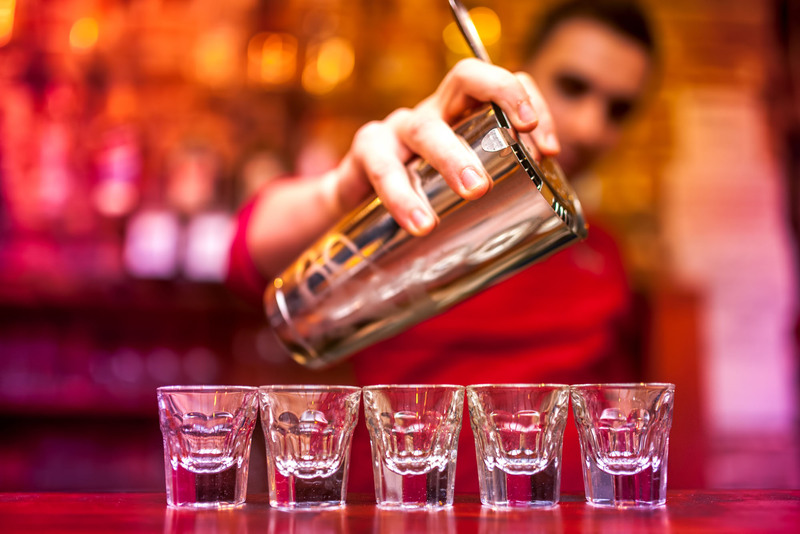 A good bartender should know how to multi-task and manage his time wisely so all customers are getting their drinks while the needs of the bar are still being met. I’m not saying that cocktails needs to so filled with alcohol that it runs the bar into debt or ruin, but in Manhattan when cocktails cost $17 minimum, the least the bartender can do is give the customer their values worth. If a bartender under pours on one of the city’s countless expensive bars, they’ve just kissed their clientele away. Manhattanites know a good deal and will leave when they know they’re not being given respect. That’s why I refuse to eat street hotdogs if they cost more than $1. There are countless other aspects of a bartender that can push them into greatness, but all of the greats that I’ve known have at least had these three qualities. In the comments below please tell me what you think makes a good bartender.